Robots and a leader for my SARS faction in Røvede Space Colony (a Random Encounters game). Made from old classic GW Necrons. See them in action at Horizont 2010. I just finished these guys tonight. I started painting them for a little get- together with the Random Encounter guys. Most of them were finished after the last meeting (thanks for the hospitality Ezikiel), but I decided to expand with another 2 heavy weapon crews and a Commissar. To get back in the painting game again, I had my friend Frederik “Stunke” Beyer over for a small “painting & cake “session (thx to my wonderful wife for the delicious chocolate cake, you really are the best!). I worked a little more on my 40k Eldar projekt and on a Freebooter Huntress mini I’m planning to paint for display use. 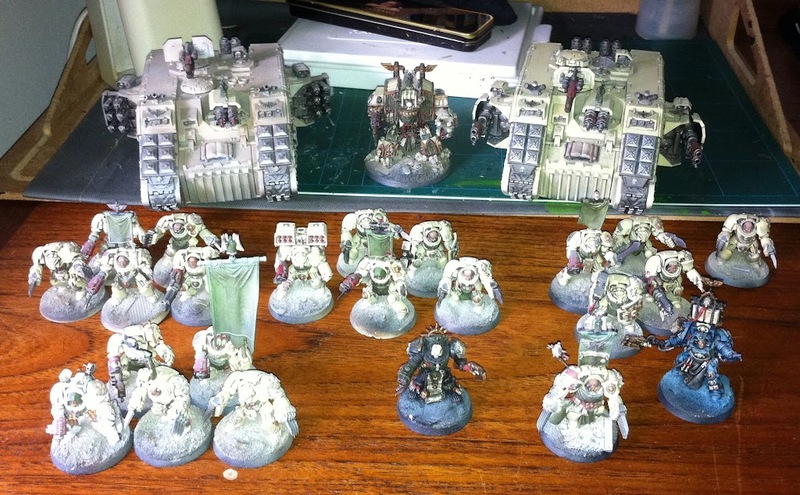 Frederik did some work on his Warhammer Fantasy Chaos Knights Ebay thingy. I’ve had an older Warhammer 40k Eldar army in the basement for a very long time without being able to find the motivation to paint it, or at least some of it. (I actually painted 6 old metal Dire Avengers a while back, will post pics soon). 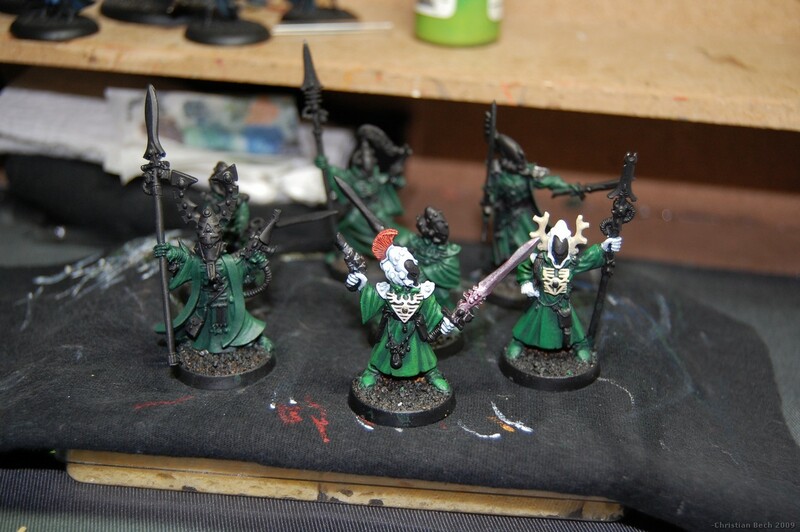 BUT, my friend Ivan and I both want to game some more (aye, I know… Ivan and I talk a lot), and since Ivan is a sucker for Warhammer 40k and I actually already got an army, I decided to to something about it and start painting some Eldar.